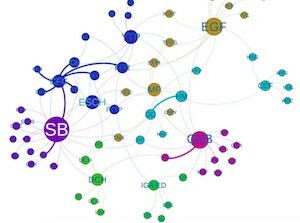 A great deal of work has been done in researching the factors that contribute to a community’s food security levels (see our report library). Many of our local councils have begun implementing strategies for addressing the problem on the ground, either through offering their own healthy food programs or conducting further research into the issue. Winner of a Heart Foundation Local Government Award in 2017, the Central Coast Council’s food strategy guides a collective effort to encourage healthy eating in the community, based on a series of community consultations and workshops. One of the key outputs of the strategy was the Mersey-Leven food hub network mapping report, which attempted to develop a methodology to map the local food economy as a tool to understand the mechanisms through which local fresh fruit and vegetables enter regional communities. 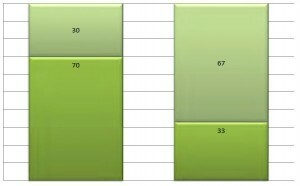 An analysis by Clarence City Council of how the built environment is affecting our health and wellbeing, in particular with regard to healthy food access. The project team developed maps of three locations – Risdon Vale, South Arm/Opossum Bay and Warrane/Mornington – that showed healthy food outlets overlaid with walkability areas and public transport routes. 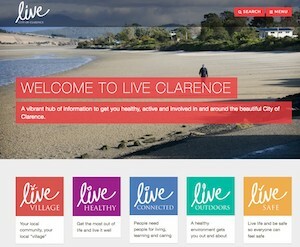 Clarence City Council has received a great deal of praise (and a Heart Foundation Local Government Award) for its new website, Live Clarence. The site is an innovative resource for people in the community, to help them live more actively, get engaged with local activities, and eat a healthier diet. An account of a program delivered in Victoria looking at how small local retailers could be used to make healthy food more readily available. It shows that with good support for retailers, including incentives to minimise financial risk and local campaigns to promote availability, this concept has merit.